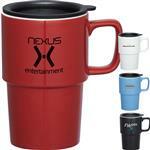 Our favorite promotional ceramic mug now on sale! 16 oz reactive glaze ceramic mug with cream interior. 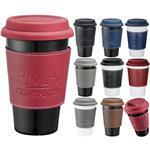 This mug is thick, well made, has a designer glaze and a two tone look. Quite simply - our favorite mug! Production Times Available: 5 working days. Free 24 hour production on one color printing with art to size. Available Imprint Options: Color Imprint. 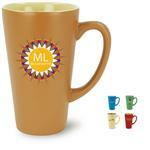 16 oz reactive glaze ceramic mug with cream interior, thick siding, two tone, designer look. 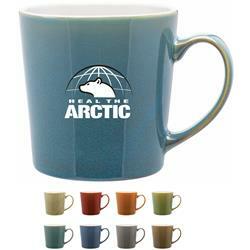 Custom Double Wall Ceramic Tumbler with Wrap - 11 oz.